Ask the Dietitian: Should You Log Supplements? It’s not always a clear choice. Some of us voluntarily seek out supplements to enhance our current health, prevent future issues or improve physical appearance. Others take supplements out of medical necessity such as correcting a nutrient deficiency. If you’re unsure of how to make that choice, please consult your health-care professional, so he or she can help navigate your individual case. Micronutrient supplements: Once isolated from food, vitamins and minerals don’t contribute calories. However, when they are made into pills, soft chews or gummies, additives such as sugar or oils may be included. Calories from micronutrient supplements are fairly small — most range from 5–30 calories if you take the recommended amount. Fat-based supplements: This category includes omega-3 or -6 fatty-acid capsules, conjugated linoleic acid, flaxseed and fish and krill oil, to name a few. Fat-based supplements range from 15–45 calories if you take the recommended amount. Carbohydrate-based supplements: Fiber supplements are common in this category and range from 15–80 calories if you take the recommended amount. Protein-based supplements: Of all the categories, only protein-based supplements confer a sizable amount of calories. Protein bars and powders range have the most! With the exception of protein powders and bars, dietary supplements don’t provide all that many calories. If you’re taking protein-based supplements, especially multiple times per day, then it’s a good idea to keep track. For the other types of supplements, it’s totally up to you! A perk of tracking is that it helps you remember that you already took a supplement that day. 1. Log in to MyFitnessPal. 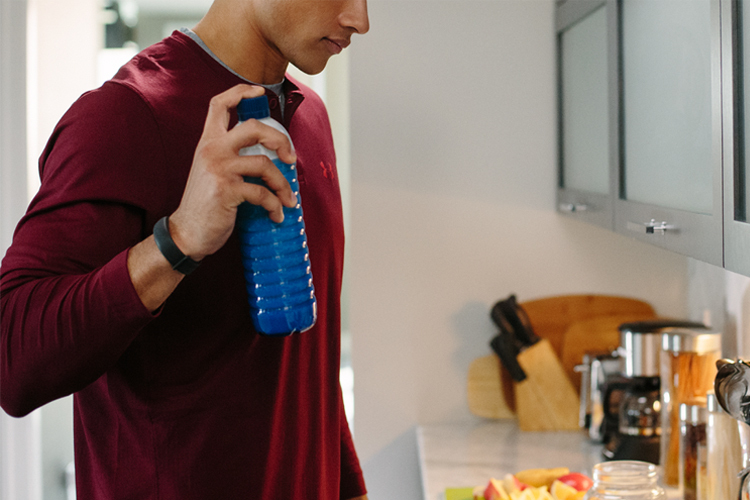 To get started, you’ll need to access your MyFitnessPal account in a web browser. If you predominantly use the web version of MyFitnessPal, you may have already figured out how to rename your meals. For those of you on mobile only, here’s a reason to get cozy with your computer for a few minutes. 2. Add and rename meals. Once you’ve logged in, click “My Home,” then “Settings,” then “Diary Settings.” There you can add another meal and title it “Supplements.” The next time you log in on the web or one of our mobile apps, your diary will reflect the changes.